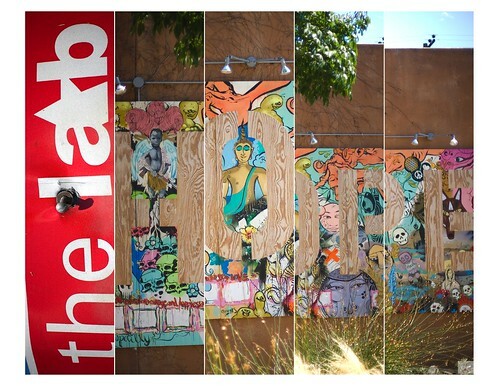 The Lab - 1, originally uploaded by Parris Studios:. I was out shooting a project today and came across this amazing piece of art. 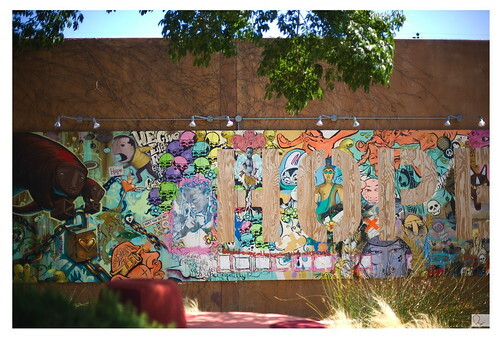 I absolutely love art of all kinds and I love the art of graffiti. Not the simple tagging as much, although love the writing is impressive, but the full on art of graffiti, the lines, the colors, the characters, all amazing! There's an outside mall called The Lab or as they say, the anti-mall, but this piece was on the front wall by one of my favorite stores (Urban Outfitters, so much fun camera/knick knack stuff, click the link to check it out!). If you're near The Lab, check it out, amazing work and I didn't do it justice. Much love to the artists who did this, amazing work! !